At an awards ceremony Saturday night that seemed to zip by in record time, the 13th annual Woodstock Film Festival gave prizes to features “California Solo” and “Shepard & Dark,” while also honoring Jonathan Demme and the late Bingham Ray. “California Solo,” directed by Marshall Lewy, won the prize for best narrative feature. 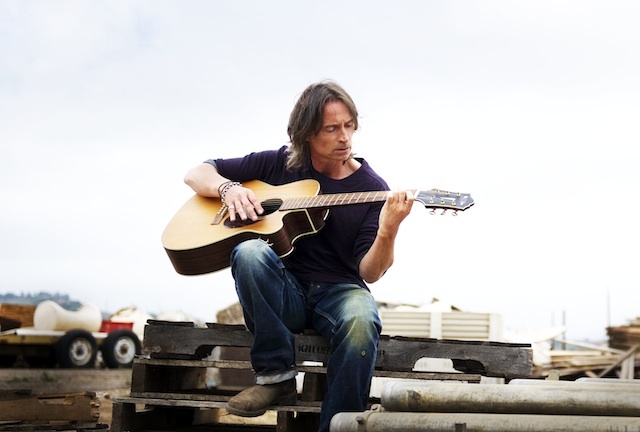 It stars Robert Carlyle as a boozy has-been musician. The honor for best documentary feature went to Treva Wurmfled’s “Shepard & Dark,” which chronicles the 50-year friendship of writer-actor-director Sam Shepard and his best friend Johnny Dark. Best editing of a feature narrative: “California Solo,” edited by Alex Jablonski; honorable mention: “I Am Not a Hipster,” directed and edited by Destin Daniel Cretton. Best short narrative: “Curfew,” directed by Shawn Christensen; honorable mention: “Julia,” directed by Danielle Krudy. Best student short film: “Past Due,” edited by Denise Plumb. Best short documentary: “The Last Ice Merchant,” directed by Sandy Patch.